"Earned" is how much money you as an influencer made from a particular visit or conversion. "Spent" is how much money the advertiser paid for that visit or conversion. When a campaign is created, the campaign manager sets their budget. From that total budget number, a "Maximum Per Click" payment is calculated. That is the most money an influencer can make from a single click. For example, let's say that the budget is $500, and the Maximum Per Click is $1.00. If an influencer sends a highly engaged click, they receive the Maximum Per Click payout of $1.00, and the total budget is reduced by $1.00. If the influencer sends a low quality visitor, the they receive less than the maximum payout, for example $.80. The advertiser still pays $1.00, but Swaayed keeps the $.20 difference. The $.80 is the "earned" amount and $1.00 is the "spent". First, we want to incentive influencers to send high quality traffic to advertisers, so we do this by paying them more for great traffic. Second, we don't like taking a flat cut, generally 20%, of an influencer's payout like most platforms. If you consistently send high quality traffic, you keep 100% of the payout. Third, we want to be transparent about exactly how much you've earned, and how much Swaayed gets. This helps build trust.  Swaayed limits itself to no more than 20% of the maximum per click payout. This means that if an influencer sends low quality traffic, they'll earn their % of the max payout, Swaayed will take 20% and the rest will be returned to the advertiser. This helps ensure that we're not incentivized to pursue low quality influencers.